Sometimes the behind-the-scenes story of being a celebrity is not as pretty as one had imagined. 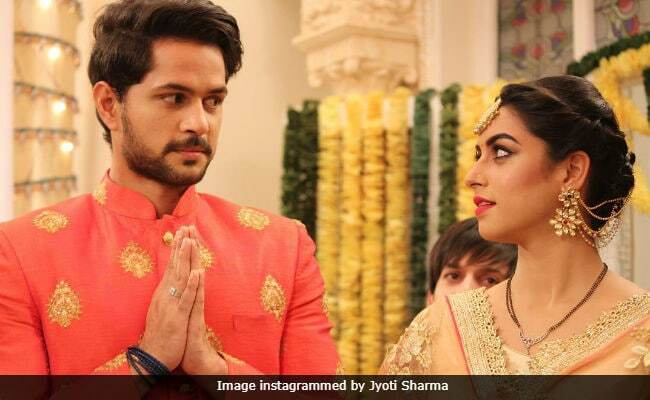 Television stars Jyoti Sharma and Pranav Misshra, the lead pair of Aisi Deewangi... Dekhi Nahi Kahi, recently told Bombay Times their version of the 'inhuman treatment and working conditions' they faced ion the sets of the TV show. The actors alleged that they worked insane hours 'without food and water.' They also accused the producers for forcing them to work when they were unwell. "We have been exploited since the beginning of the shoot, which commenced in January 2017. We have been working for 18 hours each day. There would be no food, tea or even water during these extended hours. The environment is so negative that we don't wish to continue on the show," Jyoti told Bombay Times. Pranav added: "We have been treated worse than animals and are traumatised. As per the guidelines, one needs a 12-hour break between two shifts. However, I can vouch that we have reported back to the set within five hours at least 250 days in a year. Both Jyoti and I have undergone stress test as advised by CINTAA (Cine And TV Artistes Association), and we have been diagnosed with depression, stress and anxiety." Jyoti also alleged that the producers did not take adequate safety measures during stunts, one of which resulted in a back injury. "I had to fall so the director requested for a mattress to cushion the fall. However, the unit failed to get one and I had to fall without it on an uneven stone-laden ground. I hurt my back in the process," Jyoti said. The actress, who has also featured in shows like Diya Aur Bati Hum, said that while shooting for a fire sequence she got stuck in a room filled with smoke because of which she "lost her voice" and was hospitalized. She said: "While my doctor advised bed rest for four days, I was made to report to the shoot the very next day and had to scream during the shoot." CINTAA general secretary Sushant Singh corroborated Jyoti and Pranav account but said added that they will hear out the producers' side of the story and take necessary steps. "We have seen their contracts with the production house, and they are nothing short of bonded labour. The medical reports clearly state that they are under severe stress and depression, and they have been prescribed medication. This is a glaring example of the inhuman working conditions faced by our members," he told Bombay Times. "Our Care Committee member Nupur Alankar visited the set and spoke to the producers. We will convene a meeting with all parties concerned and take every necessary step to alleviate the actors' suffering," he added. Speaking to Bombay Times, one of three producers of Aisi Deewangi... Dekhi Nahi Kahi said that Jyoti and Pranav have not quit and are filming the show. "There could be a technical issue, but nothing more. I haven't been contacted by CINTAA yet," he added. This is not the first expose on the difficult working conditions for television stars. Actresses Shilpa Shinde and Kishwer Merchantt have also raised their voice against artiste's exploitation by showrunners.